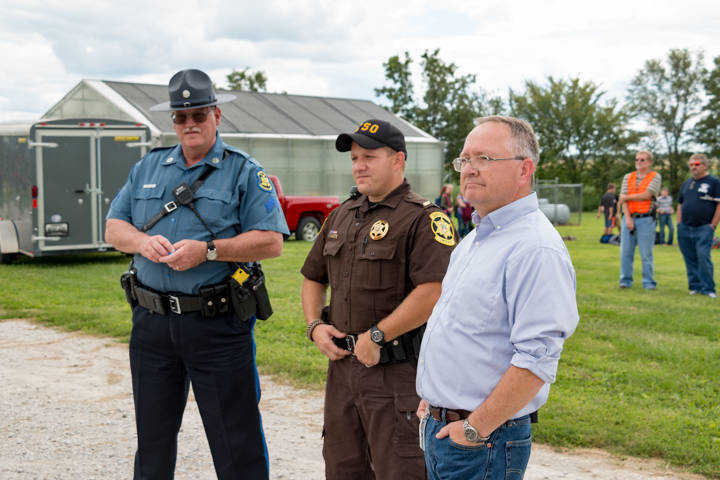 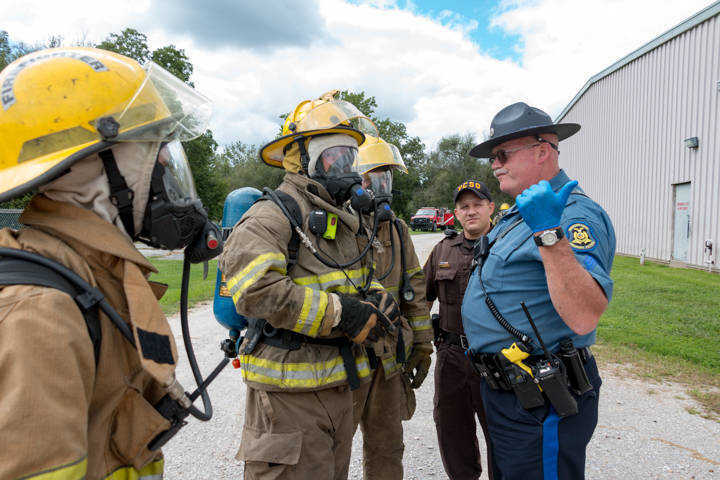 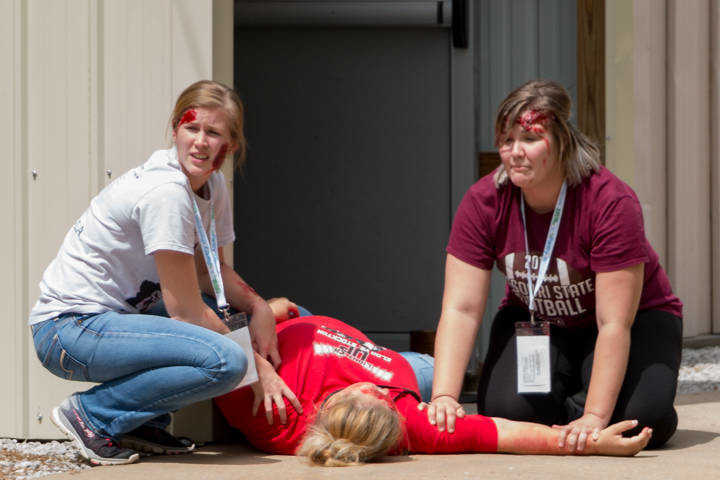 Vernon County Sheriff's Deputy Travis Cole, left, and MSHP Corporal J. Wilde help triage "victims" at the annual Vernon County emergency preparedness exercise at NEVC High School Tuesday afternoon. 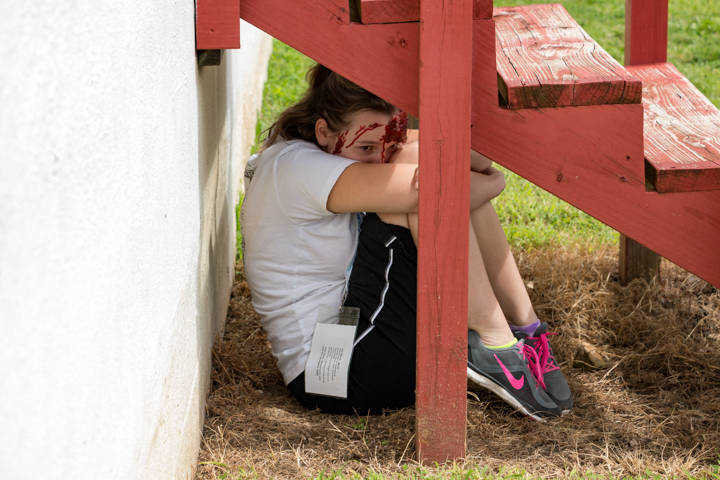 A scared victim, Natasha Chamberlin, hides under a set of stairs at the annual Vernon County emergency preparedness exercise at NEVC High School Tuesday afternoon. 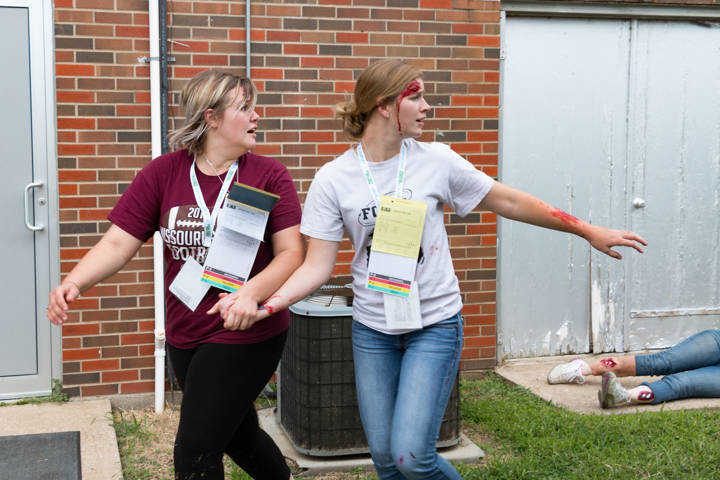 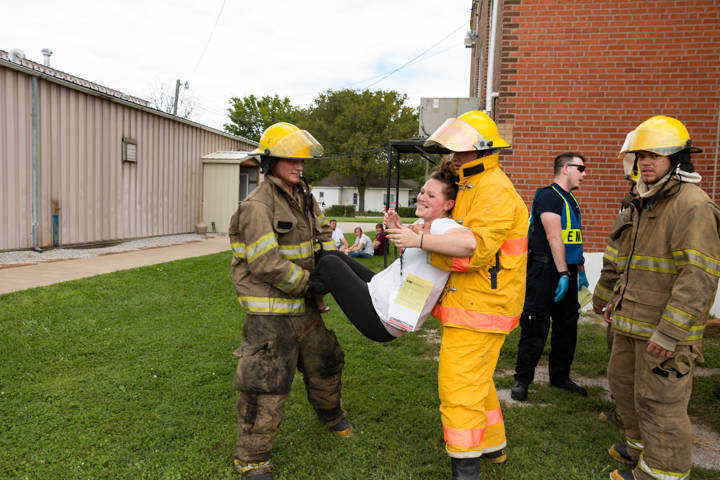 Langley Hutchison screams out for help at the annual Vernon County emergency preparedness exercise at NEVC High School Tuesday afternoon. 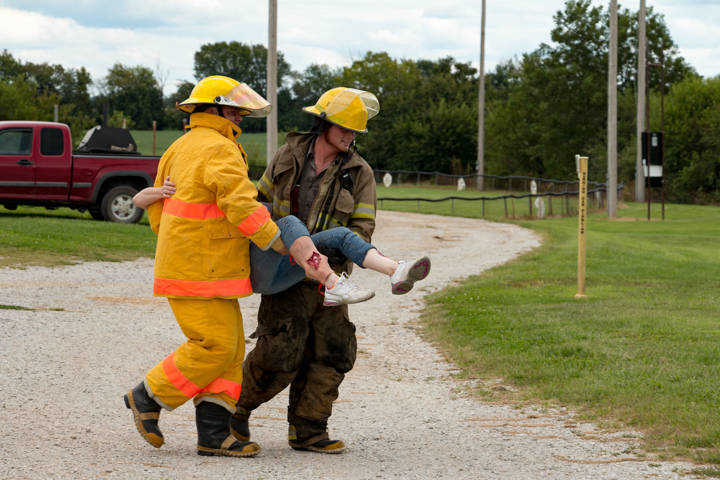 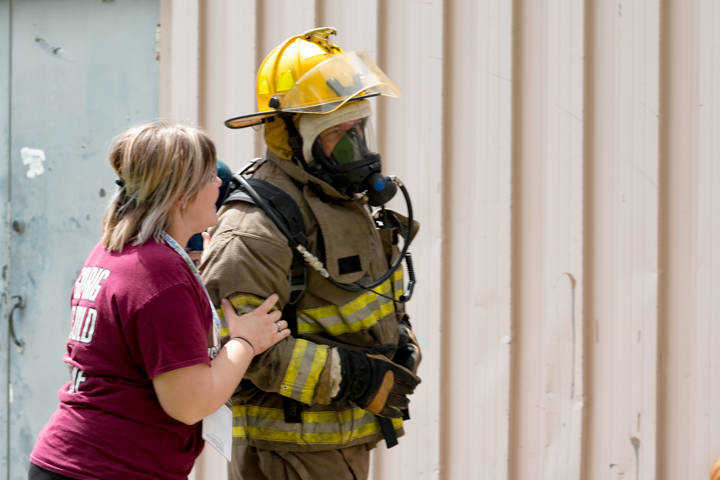 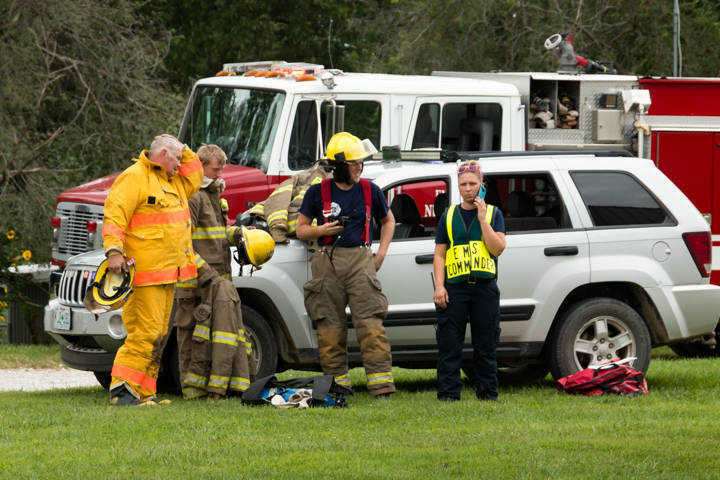 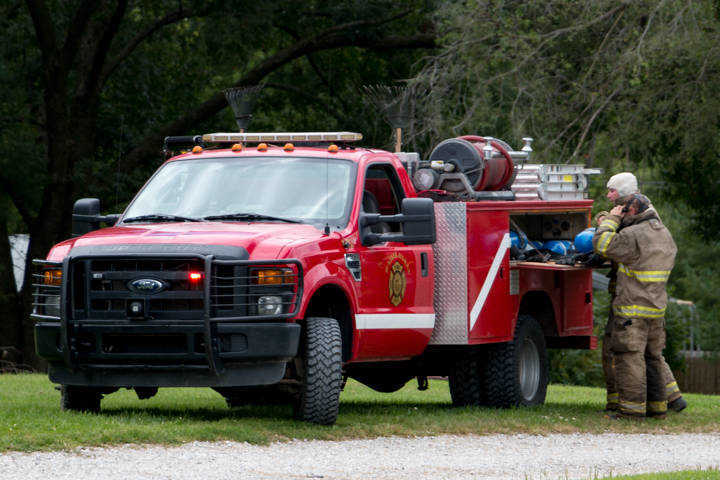 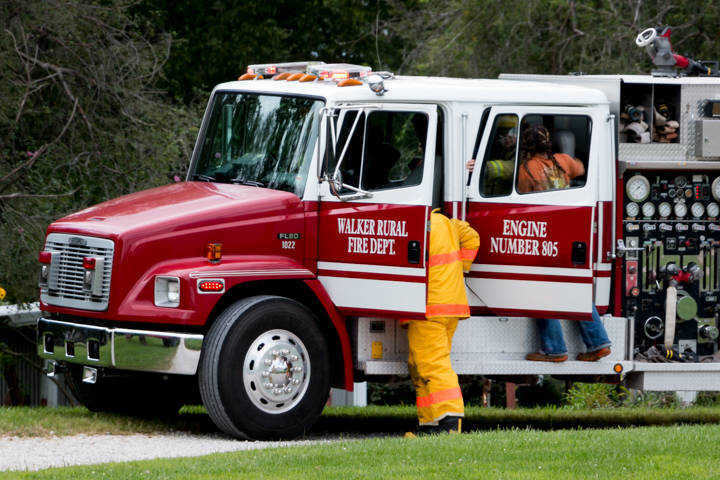 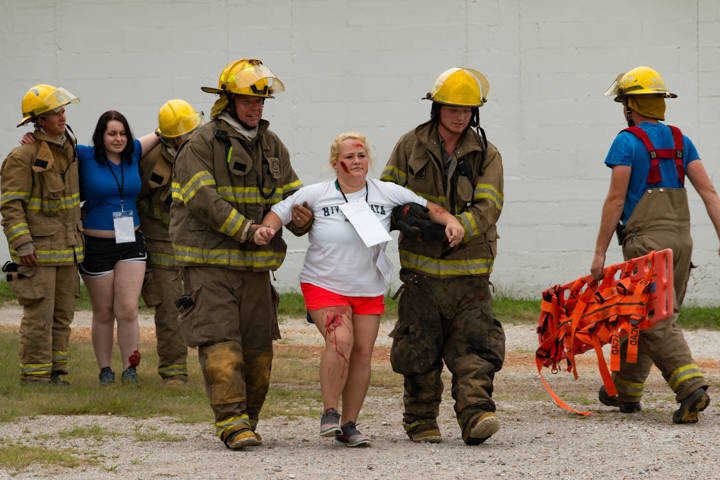 Firefighters from Walker Fire Rural Fire Department assist Brooke Best to the treatment area at the annual Vernon County emergency preparedness exercise at NEVC High School Tuesday afternoon. 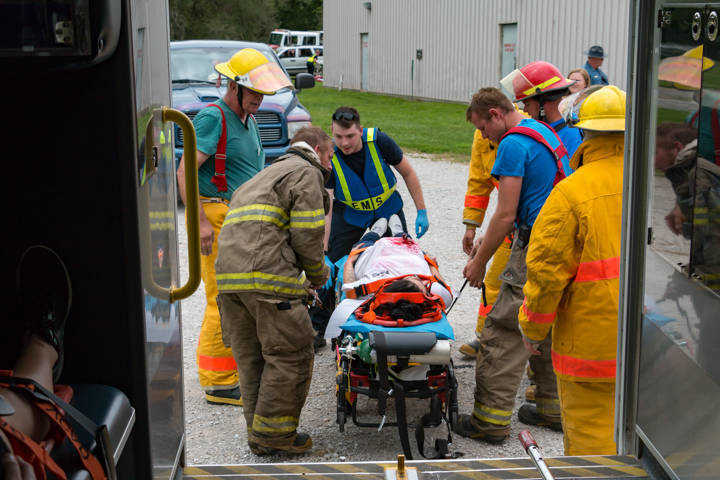 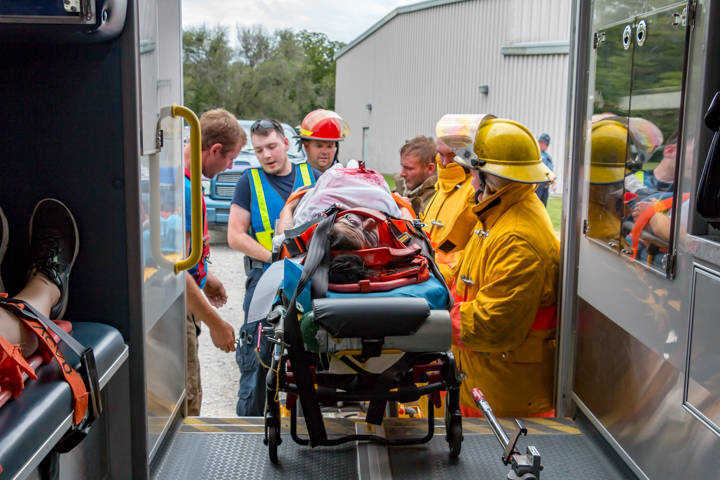 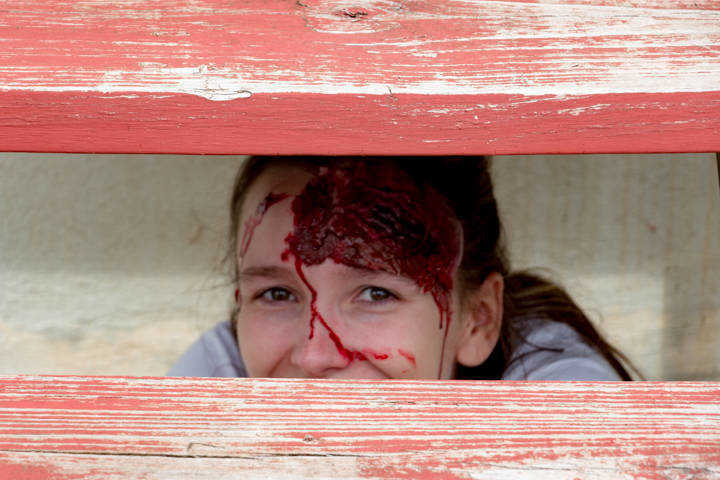 "Victim" Anna Busey is loaded into the waiting VCAD ambulance at the annual Vernon County emergency preparedness exercise at NEVC High School Tuesday afternoon..